There are many parts of your life that may feel beyond your control, but your diet doesn't have to be one of them. In fact, just the act of choosing to eat well puts you in control of your diet, which can help you feel more alert and energized, according to the Cleveland Clinic. What's more, 2017 research published in Advances in Nutrition found that a diet rich in fresh fruits and vegetables with a balance of macronutrients was associated with improved health and well-being in breast cancer patients. So while you probably already knew that eating healthy could improve your physical, mental and emotional health, have you ever wondered which nutrients are best for each type of health goal? Keep reading to find out! A lack in nutrients — or the wrong balance of nutrients — can rob you of energy and keep you from doing what you need to do. So aim for five to eight servings of fruits (1.5 to 2 cups) and vegetables (2.5 to 3 cups) a day as well as whole grains. These healthy sources of carbohydrates will give your body fuel to burn throughout the day. Protein is also incredibly important. Aging and inactivity both result in muscle mass naturally declining, which increases your risk of injury. Dietary protein helps maintain and build muscle. Both animal sources — poultry, beef, fish, dairy and eggs — as well as plant sources, such as beans, nuts, lentils and soy, are great ways to incorporate more protein into your diet. Changes in your health and other life-altering circumstances can trigger feelings of sadness and depression. And while feelings of depression should always be discussed with your physician, eating a healthy diet can definitely make you feel better about yourself — and not just physically, but also emotionally certain nutrients are proven to be mood boosters. Although there are many factors to cognitive function and your ability to focus and clear your mind of mental clutter, if you feel like you're operating in a fog some days, your diet may be part of the problem. A 2010 review published in Neuroscience organized a list of "brain foods," which have been studied for their effects on cognition and mental decline. 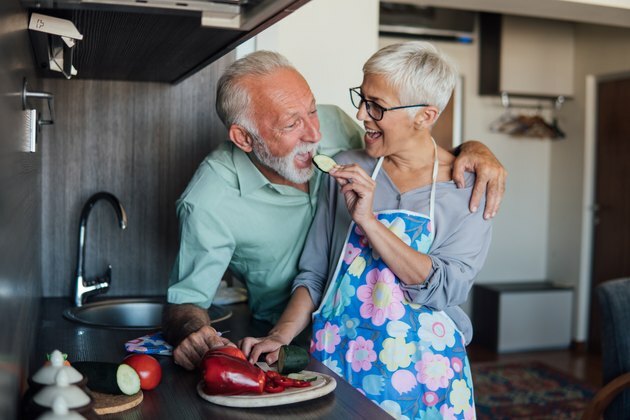 Most of the research focused on the effect of nutrients on the brains of older adults, but the potential exists for the benefit of brain foods in all ages. In particular, omega-3 fatty acids — found in salmon, flax and walnuts — have been extensively researched for their benefit to brain health. In addition, deficiencies in vitamin B-12 have been associated with poor memory, according to the National Institutes of Health. You can up your vitamin B-12 intake with animal foods such as beef, tuna and eggs, as well as in plant-based foods like non-dairy milks and fortified cereals. Reaching for less-than-healthy snacks isn't doing you any favors. Highly processed foods often contain large amounts of sugar, which can lead to a temporary boost in energy, but the crash you feel after a short time leave you feeling even more tired than before and possibly craving more sweets, according to Harvard Medical School. When you're feeling tired and think you need a snack to wake you up, take a moment to ask yourself if those are feelings of hunger or thirst. Most often than not, one of the first signs of dehydration is fatigue. Try drinking water, waiting a few minutes, and then checking back in with yourself to see if you are still hungry. If water doesn't do the trick, experts at Harvard suggest spacing out your meals to give you more energy throughout the day instead of eating three big meals. Eating a big lunch can spike your blood sugar levels, leaving you feeling drained by mid-afternoon. Good energy-boosting snacks include foods with fiber and protein, such as an apple with peanut butter, a cheese stick and an orange or popcorn and nuts. These snacks will help with your low energy and also keep your blood sugar from spiking. Many aches and pains are caused by inflammation, an immune response that occurs as your body tries to protect itself against invasion, infection and other damage. 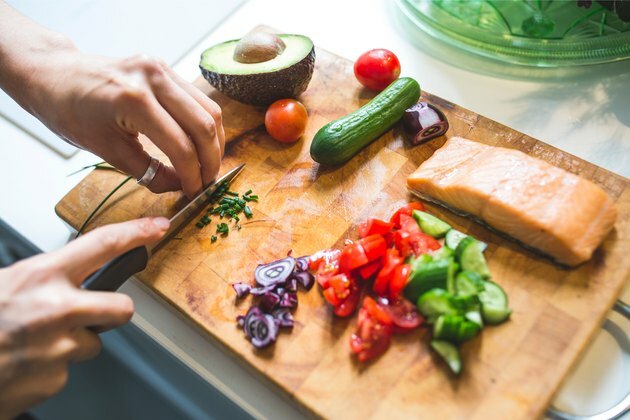 A 2018 study published in the journal Nutrients found that the typical American diet, which is high in foods that trigger inflammation, was associated with breast cancer recurrence; on the other side of that coin, the authors hypothesized that an anti-inflammatory diet may decrease the risk of breast cancer recurrence and produce better health outcomes in general, as chronic inflammation can continue to damage the body's healthy cells and immune system. An anti-inflammatory diet — such as the Mediterranean diet and the DASH diet — is rich in vegetables, fruits, legumes, olive oil and fish. And when you're pain-free (or at least have less pain), you tend to feel better about yourself and life in general. Learning to eat well is a lifelong challenge that's often overlooked. Keeping track of your eating habits with a journal or app, such as MyPlate, can make a big difference and help you stay motivated. Try reaching out to your social network for suggestions on healthy recipes that fit your needs (or join the LIVESTRONG.COM Challenge Facebook Group). This is a way to stay connected and will also help you feel better about your healthy changes. If you're not sure where to start with healthy eating, talk with your doctor, who can refer you to a registered dietitian. A dietitian can help you ensure you're receiving all the nutrients you need to live your best life and keep your body as healthy as possible. Why Is It Important to Eat Healthy Food Instead of Junk Food? Are There Foods That Cause the Release of Norepinephrine and Dopamine?